Welcome home to this superbly appointed & spacious Ranch style model by Richmond Homes. 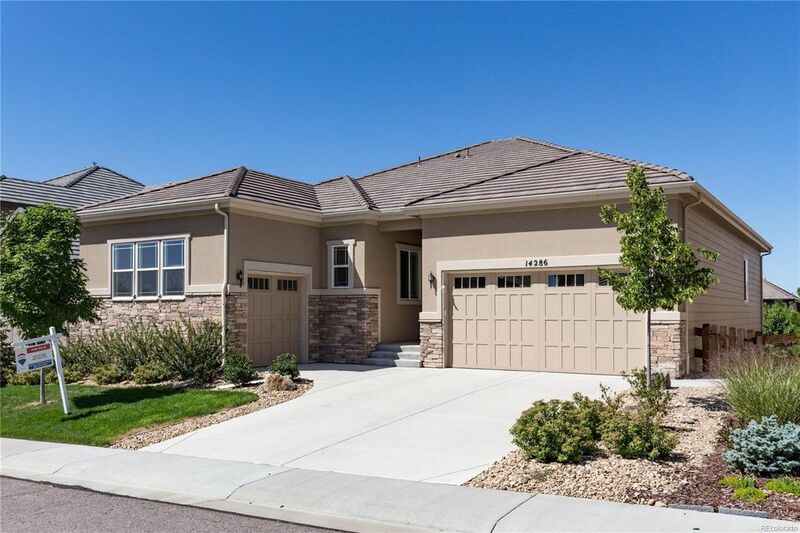 You will love the fine upgrades include the large open flowing floor-plan that has 10ft ceilings and 8ft doors. Upgraded kitchen w/42 smooth face, soft close cabinets, roll out drawers, slab granite counters, custom tiled back splash, large island & GE Profile stainless steel appliances under warranty. Extensive wide planked engineered wood flooring, under extended warranty. Master suite w/custom 5 piece bathroom, frameless shower, & walk in closet. Pre-wired for internet, cable, & phone. Whole house wired monitored security system with motion, glass break, & smoke detectors. Additional stand-alone smoke detection system. Smoke free. Radon mitigation system. Sump Pump. Stone Facade Fireplace. Upgraded light fixtures throughout. Professionally landscaped yard with sprinkler in front and back. Cement walk from front to back. Large finished 3 car garage with side load bay. Faces South.